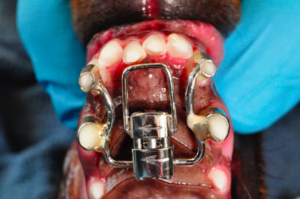 There are plenty of jokes out there about putting braces on dogs, but it’s true that on occasion this type of orthodontic treatment is performed to correct malocclusions in dogs. A malocclusion is any deviation from normal occlusion. An ideal occlusion includes the perfect interlocking of the upper and lower teeth. Malocclusion may be due to abnormal positioning of a tooth or teeth or due to asymmetry or other deviation of bones that support the dentition. Malocclusions are extremely common in dogs and cats, resulting mostly from incorrect breeding practices. Almost all short faced (brachycephalic) dogs and cats have malocclusions and many of them require treatment to eliminate traumatic dental contacts. 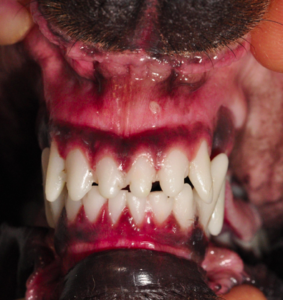 In dogs and cats, many of the teeth have sharp points that can result in significant oral pain when they are out of proper alignment and contact opposing tissues. There are instances where a malocclusion may not creating traumatic contact, this does not mean it should go untreated! When your pet’s teeth are crowded and not properly aligned, the crevices and deep pockets formed are a breeding ground for bacteria to collect.  That bacteria can turn into plaque, then tartar and will likely lead to early onset of periodontal disease. Unfortunately, few pets will show signs of oral pain and often live their entire lives with untreated orthodontic diseases. At Pet Dental Center we can offer a variety of orthodontic treatments that will restore normal oral function and a pain-free bite for any pet with a malocclusion.